Association of Managements of Private Schools also invites you to participate in the Silver Jubilee Edu Expo, which will be 2 day event with fully equipped shell space of different sizes within the closed air – conditioned halls and also bare space in the open area. Unlike other marketing activities, our AMPS EDU EXPO – 2016 will offer a grand platform for you to showcase your products, services, technological advancements and communicate their key message to the real decision makers. Once they develop a sense of brand closeness, they automatically connect with your brand. This also helps you in understanding your target audience and their needs better. Cold calling comes across like a pushy marketing strategy that can make you lose your potential customer too, because he or she was too busy to be disturbed. That is why; AMPS EDU EXPO – 2016 are not only a better option but rather the best way to grab your target audience. Unlike cold calling, exhibition visitors are always in the right frame of mind when they attend AMPS EDU EXPO-2016. So even when you want to capture the nerve of your audience with your exhibition stand, your customer should be attentive enough to appreciate your products. 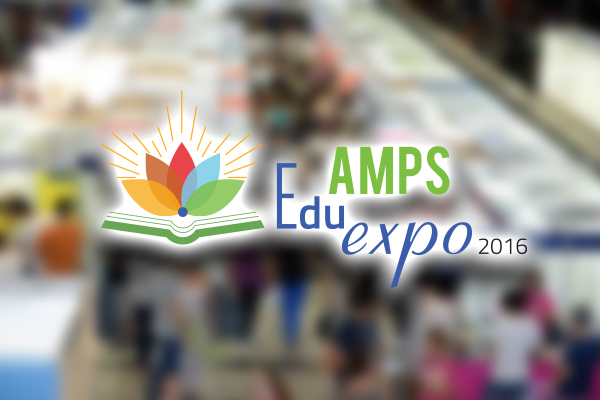 Hence, instead of cold calling or other minor marketing and promotional techniques, participating in the AMPS EDU EXPO – 2016 is the perfect solutions that comes with a number of benefits. The Association that safeguards the interest of CBSE schools will be celebrating its Silver Jubilee on 10th & 11th December 2016. To commemorate this milestone, the association has decided to bring out a Silver Jubilee Souvenir and organize on Educational Expo as part of its 25th Year celebration. The Silver Jubilee Souvenir, which will also serve as a directory, aims at reaching every Tamil Nadu CBSE school’s Managing Trustees, Correspondents, Principals, Teachers and Parents, it will be a permanent resource bank for them to get any information regarding school education and its service providers. For CBSE schools, it will have pages to highlight their infrastructure and achievements. Besides schools, it will also help colleges and professional education institutions to reach their prospective students. Advertise your brands or products or services in our Silver Jubilee Souvenir or Exhibit them in AMPS Edu Expo. NOTE : The last date for receipt of forms is 20th November 2016. Dates 10th & 11th December, 2016. Educational Book Sellers & Distributors. Manufacturers, Dealers of Teaching Aids & CD-ROM’s. Periodicals, Magazines, E-books & Educational aids. Sports goods & artificial turf Suppliers. Wooden flooring & wall decorators. Service & Technological innovation providers. Education Institutions / Universities / College / Schools. School furniture & laboratory furniture Suppliers. RO, STP & Solar plant installers. Education tour operators & security agencies. ERP & other IT solution providers. School uniform & accessories Suppliers. Architects and Civil Construction / Engineering Companies. Trustees & Members of School Managements. Shell Plan : Association of Managements of Private Schools will provide Partition Panels, Spot Lights, Floor Covering, Fascia, one Table, two Chairs, one 5 amp electric Socket and one Waste Paper Basket. Shell Space will be handed over only on 10th Dec at 6.00 a.m.
Bare Space Plan : Under Bare Open Space bookings, before starting construction work, the drawing is required to be approved by Association’s Architects. In case of booking of bare space, exhibitors will undertake construction work / decoration work, carpeting in the stall, lighting, furniture and other display aids, etc. at their own cost and risk. The bare space participants are required to pay Rs.150/- per KW to Association and one-time Service Connection Charges. Kindly send us the filled-in Application Form indicating your space requirement at the earliest. The last date for receipt of Application Form is 20th November, 2016. The association, as organizers, taking into consideration various factors of allocation of space, reserves the right to accept or reject Applications without assigning any reasons. Allocation of stalls will be done by the Association, on receipt of participation charges. Participation in the AMPS EDU EXPO will be governed by the General Rules and Regulations applicable for participation.